A brochure showing the paper sculptures of designer Siba Sahabi. 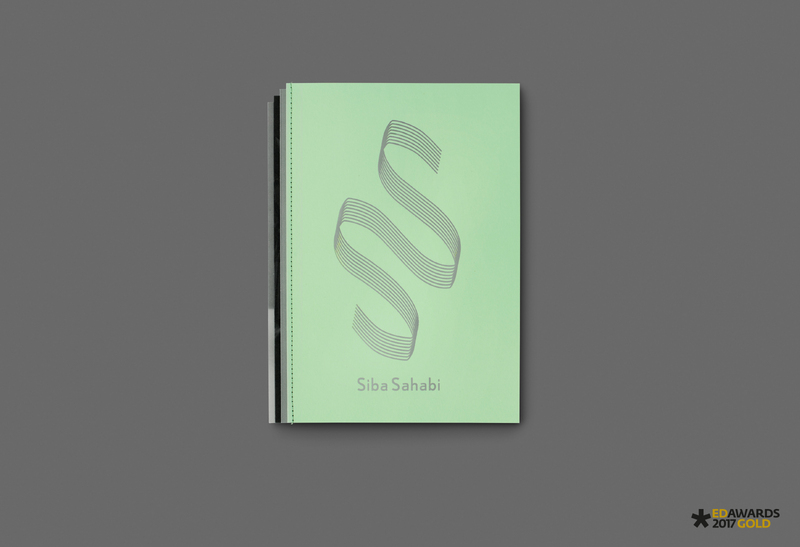 The layered positioning of the paper in the back of the booklet is a reference to the type of craft that Siba uses. This element of creating layers returns in the inside of the booklet. The German/Iranian designer Siba Sahabi creates centrepieces like tableware through a unique application of materials such as paper and felt. Historical fragments lost in time and space regain significance and relevance through a new connection with contemporary design.